We can help keep sludge to a minimum! 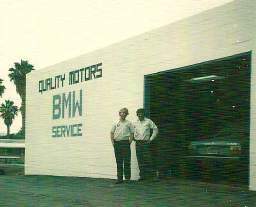 Happy 38th Birthday Quality Motors! As we look back on the past year and consider all the wonderful customers and business associates we have the good fortune to serve and work with, all of us here at Quality Motors are overwhelmed with a profound sense of gratitude. We really do appreciate every one of you, and our shop newsletter is just our way of saying that to everyone at once—Thank You! We will be closed on Monday, 12/25/17; and on Monday, 1/11/18. Merry Christmas and a very happy new year to you and yours~! 2 New Loaners to better serve you! This summer we added two additional brand-new loaner cars to make your service experience as convenient as possible. Please be sure to reserve your loaner when making your appointment. All we ask when you return it is to fill it up with gas, just as the prior customer did, regardless of how little you may have driven it. And, of course, thank you for not smoking in our cars. Why hassle with advertising, phone calls, and the inconvenience (and risk) of letting complete strangers test drive your car? Instead, let Quality Motors buy your used car—leased, financed, paid for in full or not. You can even turn in your lease at Quality Motors and avoid damage and mileage fees, and maybe even put a few bucks back in your pocket! We also take trade ins! 37 Years of Quality Motors! We couldn’t do what we do without the loyalty and word-of-mouth referrals of all our friends and business associates—like you! We really do appreciate the opportunity you give us to serve all your automotive needs. Whether it is Sales, Service, Accessories, Upgrades, Warrantees—you name it—if it relates to your Audi, BMW, Mercedes, or Mini, Quality Motors has the solution. We offer many different plan options for nearly any new or used vehicle. Even if your car, van, or truck is brand new and you simply want to extend the factory coverage to 100,000 miles or more, we have the solutions! Low $ down, low monthly payments! Call Mike for details!